Appearing almost molten under the flames, these specially formulated, tempered, and tumbled gems from R. H. Peterson are safer than regular glass with no sharp edges. 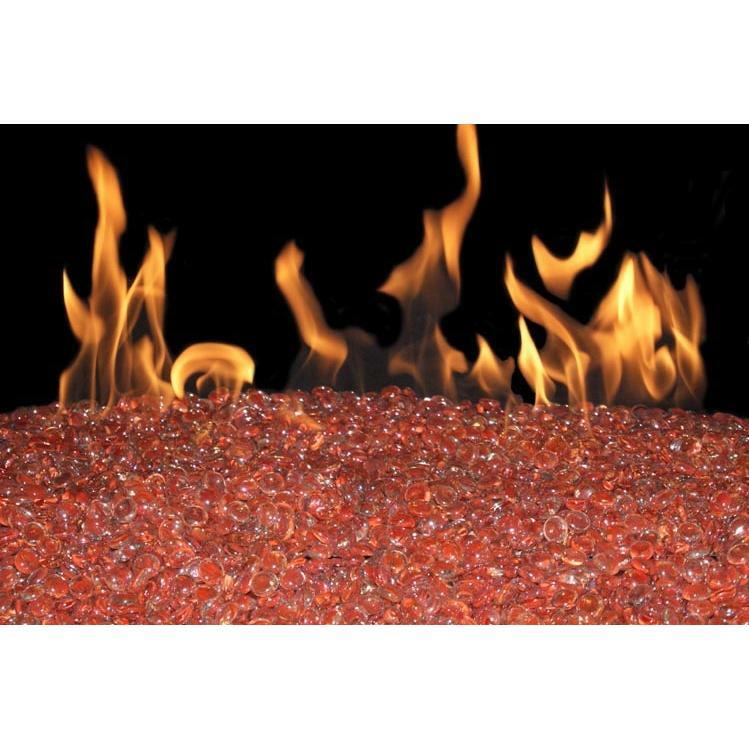 Koi Fire Gems are featured in this set and includes enough to fill the burner pan. Designed to run on Natural Gas, the main burner of the G45 emits generous undulating flames enhanced by a conspicuously effective front ember burner. See thru burner design allows the fire to be enjoyed from either side of the fireplace. The vented G45 burner provides hour after hour of hypnotic glimmering flames. Set must be lit with a match after the main valve is opened. Add a burner-mounted AV-17 or AV-18 valve if the main valve is not easily accessible.